If you have been hanging around here lately, you already know that I love to garden. There is just something about getting outside and getting my hands dirty. I when I say dirty, I mean caked in dirt and mud, and who knows what else. That is why I love this Homemade Gardeners Soap! It is super easy to make, and it scrubs all of the dirt off my hands without taking the skin with it. Plus, you can customize it to your favorite scent, which is a total bonus! Even if you do not garden, these make an awesome gift for that gardener in your life. Or, you can substitute the salt for sugar and make a gentle sugar scrub bar to get your body ready for the summer. I don’t know about you, but my legs haven’t seen the light of day all winter and are in need of some extra TLC right about now. Ok, on to the fun stuff! 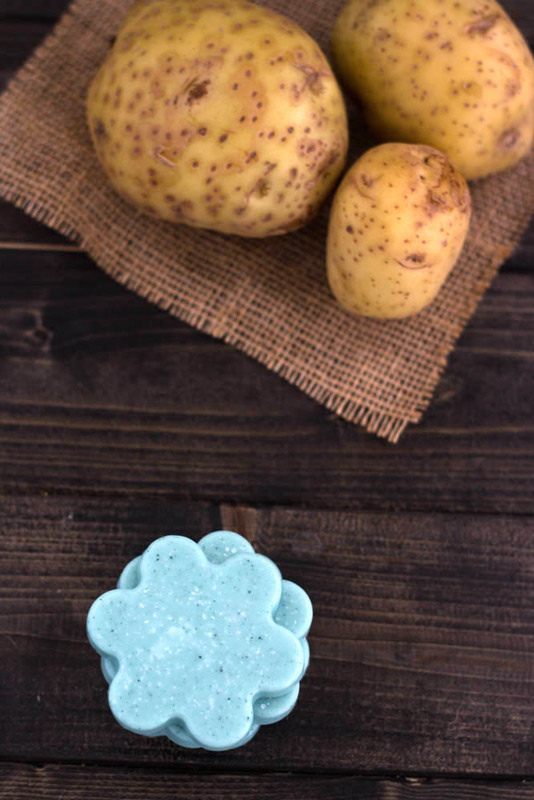 How to make this awesome homemade gardeners soap! Silicon Mold *You can use pretty much anything for a mold, I prefer the silicon because it makes it a lot easier to get out of the mold. Cut melt and pour soap in to small cubes and place in a microwave safe bowl. Microwave in 15-second bursts, stirring in between each burst until completely melted. Mix in any colorant and fragrance. Working quickly, add in salts and stir to combine. Immediately pour into molds. *If soap hardens while pouring, reheat in 10-second bursts. Allow to harden for 30 minutes or until firm before removing from mold. 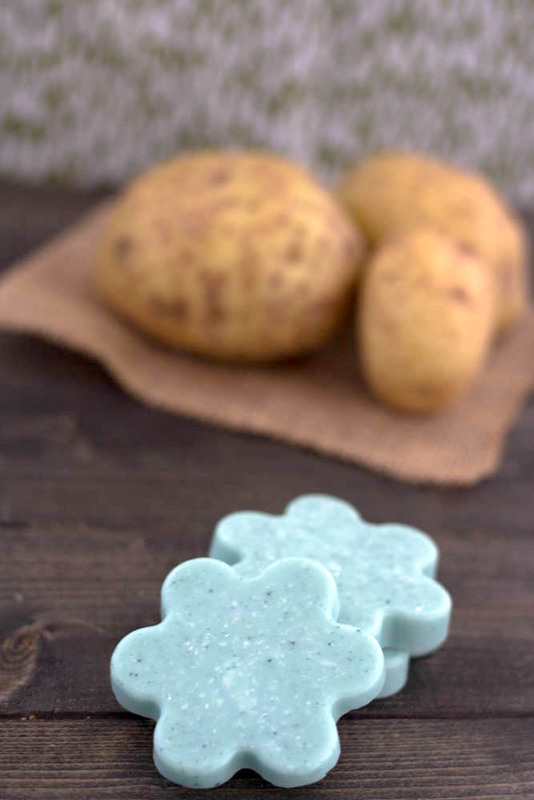 What is your favorite scent for soap? I LOVE lavender! 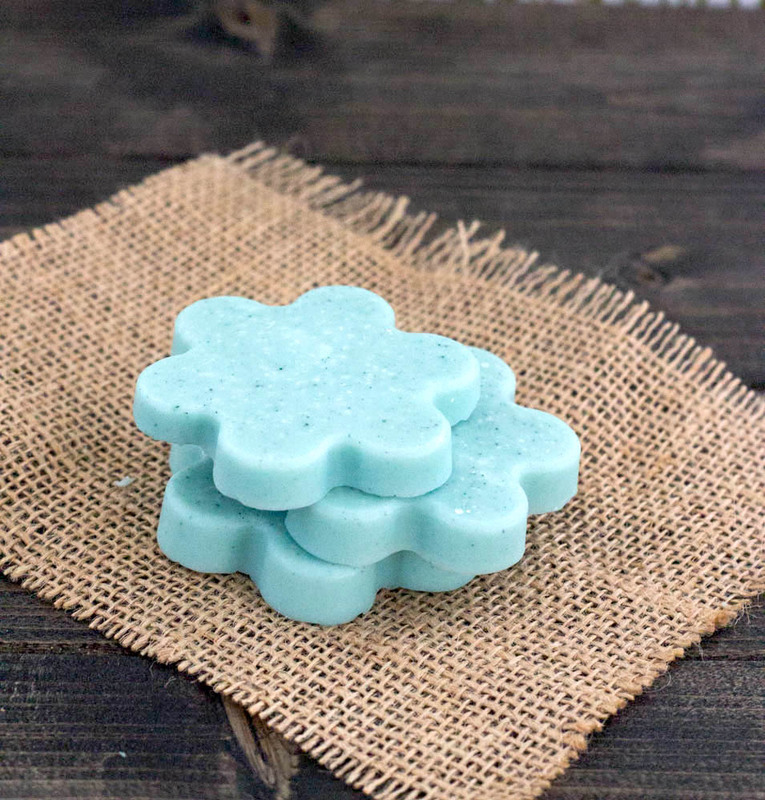 I have yet to try homemade soap, I’m not sure I could do it, it might be an epic fail, I lack in patience, but you give me the courage to give it a try. That is why I love melt and pour soap! It is already made and you can easily customize it without having to deal with lye. Hey Jamie, made some melt n pour goats milk soap today with lavender essential oils. Did great. I used a ninja turtle mold for a special little friend. He loves it!